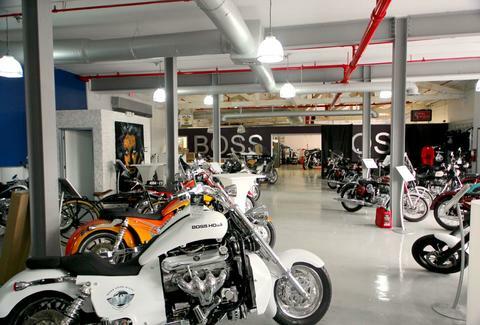 After almost two decades dominating the custom-crafted motorcycle market in Germany, House of Thunder opened its first U.S. outpost in Wynwood, filling the showroom with some of the rarest bikes in the world. Some things to note: 1) They're the exclusive retailer of brands like Boss Hoss and Royal Enfield. 2) The space doubles as a garage. 3) They have bikes with Corvette engines. 4) They'll either completely custom-design a bike from scratch for you, or take yours and make it awesome. 5) Can you test-drive? Eff yeah you can test drive. 6) The photos are even better than the ones of your '96 Ninja on Instagram.